Will Latvian president dissolve parliament? 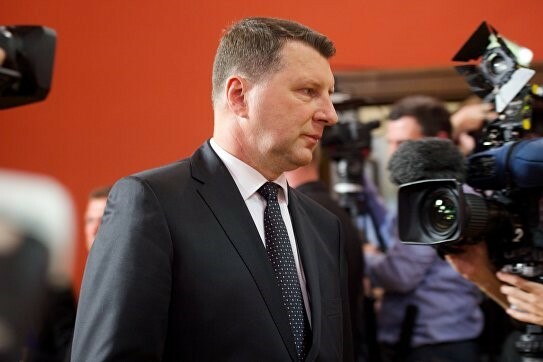 On Tuesday, Latvian President Raimonds Vejonis held meetings with representatives of all the parties that got seats in the parliament and ordered them to form the Cabinet by November 26. The parliamentary elections in Latvia were held on October 6, since then no progress has been made in the direction of new government formation. According to the European parliament member Miroslav Mitrofanov, Latvian President wouldn't dissolve the country's parliament. "President Vejonis has already made it clear that he was against new elections, which will be inevitable if the Saiema [the parliament] is dissolved. Everything is heading in the direction where the "new" parties will agree to accept anyone, for example, a candidate from the "old "parties, as prime minister, after a series of diplomatic setbacks. They will do this just to keep their hard-won positions on the edge of the bench for the national elite, in order to prove that they can work in the government," Mitrofanov said.